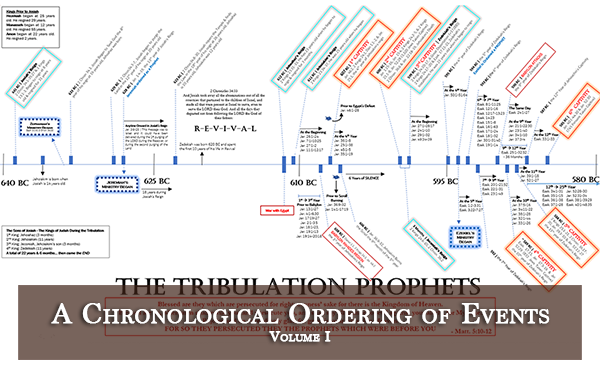 An Outline of End-Time Events: "Embrace Tribulation"
This message is available in Video (above), in Audio (at the bottom), and in Written Summary (just below) on this webpage. The written summary is categorically separated in two major themes: Suffering & Tribulation in contrast to Revival & Awakening. Jesus Christ said, “But he that shall endure unto the end, the same shall be saved” (Matt. 24:13). The key to endurance comes from a heart-felt agreement with the purposes behind suffering and tribulation. 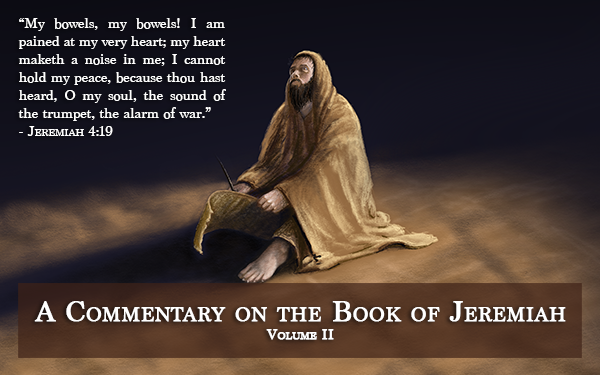 The New Testament teaches that the Last Day saints should “Embrace the Great Tribulation”, just as the prophet Jeremiah preached to Israel that they should “Embrace Babylon”; namely, because it is a purifying and salvific tribulation to those who endure it with thanksgiving toward God (Dan. 11:35, 12:10; Example: Mal. 3:2-4, James 1:2-3, 1 Pet. 1:6-7). To embrace the Great Tribulation one must deny and abominate the American Dream. One must embrace and happily endure suffering. One must no longer seek to protect, prolong, love, or keep his life. One must lose his life and welcome the liberty of death, and one must long for all God-given opportunities to glorify the Name of Jesus Christ no matter the personal-cost and situational consequence. All those who love their lives will quickly fall into apostasy because of the shear magnitude of suffering (“Then shall they deliver you up to be afflicted, and shall kill you: and you shall be hated of all nations for My Name’s sake” – Matt. 24:9), and all those who overcome will do so because it was foretold, “they overcame him by the blood of the Lamb and by the word of their testimony; and they loved not their lives unto death” (Rev. 12:11). “O death, where is thy sting? O grave, where is thy victory? The sting of death is sin; and the strength of sin is the Law. But THANKS BE TO GOD, which giveth us the victory through our Lord Jesus Christ. Therefore, my beloved brethren, be ye stedfast, unmovable, always abounding in the work of the Lord, forasmuch as ye know that your labour is not in vain in the Lord” (1 Cor. 15:55-58)! Even though a portion of blood-bought saints will initially commit apostasy because of the onslaught of suffering and persecution foretold by our Lord (Matt. 24:9), “many” who would have overcome the trial of physical pain will be snared by the bitter and painful experience of betrayal wreaking havoc amidst the Brotherhood of the true Church (Matt. 24:10); and thus because iniquity will abound the love of many will be exasperated into coldness (Matt. 24:11-12). I repeat, the most trying and tempting characteristic of The Great Tribulation is the mass betrayal and hatred of authentic Christian Brethren who have turned apostate; this peril is emphasized by Jesus Christ (Matt. 24:10-13) and reiterated by the inspired writers time and time again as the foremost indicator whereby men might recognize they are indeed in “the last time” (2 Tim. 3:1, 1 John 2:18, 2 Peter 3:3, 2 Tim. 4:3, 2 Thess. 2:3). This heart-wrenching prophetic situation was foretold and emphasized by David and lived-out by Jesus Christ, saying, “For it was not an enemy that reproached me; then I could have borne it: neither was it he that hated me that did magnify himself against me; then I would have hid myself from him: But it was thou, a man mine equal, my guide, and mine acquaintance. 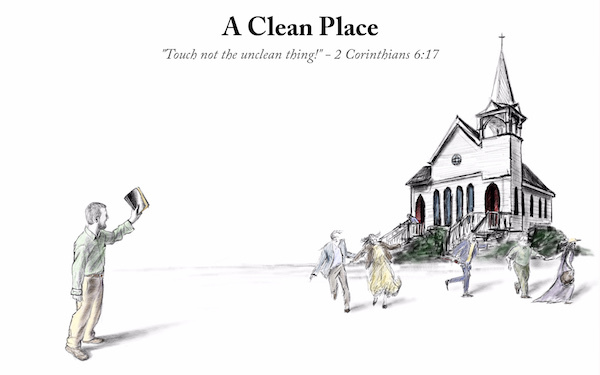 We took sweet counsel together, and walked unto the house of God in company” (Ps. 55:12-14). Furthermore, seeing that all Christians are called to follow in the steps of the Lord Jesus (1 Pet. 2:21-23), embracing the experience of like-sufferings (1 Pet. 4:1, Heb. 12:3-4, John 16:18-21), unto the predestination of our conformity to His image (Rom. 8:29, 35-37), let us take heed. Let us brace ourselves and remember, “we are more than conquerors through Him that loved us” (Rom. 8:37). Amen. The backsliding and “falling away” of the true Church at-large has catastrophic consequences worldwide because the wickedness of the heathen is no longer checked and restrained as it should be (2 Thess. 2:3-7); hence the spawn of spiritual darkness for the making of the most evil hour in human history (see “they all slumbered and slept”, “atmidnight” – Matt. 25:5-6; correlating verses: Jer. 5:1-5, Gen. 18:23-32, Isa. 57:1). The saints are indebted and charged with a moral obligation to be the light of the world, and for this end they do shine, that iniquity would not progress and accelerate beyond measure (Matt. 5:13-16), and for this end they are salt, that the corruptions of depravity would be slowed from their progress, but if the light and salt is taken away so that darkness does blanket the land, wickedness will thicken the blackness of spiritual darkness exponentially from generation to generation until, at last, the rottenness and corruptions of depravity have no bounds – then it is the Last Time! Fittingly, Paul confessed, “though I preach the gospel, I have nothing to glory of: for necessity is laid upon me; yea, woe is unto me, if I preach not the gospel” (1 Cor. 9:16)! The darkest hour of human history exists when the iniquity of the world has ripened into a maturity never before obtained by the sons of Adam (Rev. 14:14-20); only this can justify and merit the judgment of a worldwide apocalypse of merciless vengeance from God Almighty (Gen. 6:5-7, 2 Thess. 1:7-10). God be praised that the saints who abide in Christ shall be delivered from the God-sent delusion that envelops humanity worldwide (2 Thess. 2:8-12). Through the prophesy of Daniel, we understand, “And at that time shall Michael stand up, the great prince which standeth for the children of thy people: and there shall be a time of trouble, such as never was since there was a nation even to that same time: and at that time thy people shall be delivered, every one that shall be found written in the book. And many of them that sleep in the dust of the earth shall awake, some to everlasting life, and some to shame and everlasting contempt. And they that be wise shall shine as the brightness of the firmament; and they that turn many to righteousness as the stars for ever and ever” (Dan. 12:1-3). The two foremost sins which led to the unrecoverable backsliding of God’s people into a situation of worldwide judgment is, firstly, a high-mindedness which stems from misapplied promises and erroneous peace-preachers (in modern day terms this is preached in the doctrine of unconditional eternal security), and, secondarily, the subsequent mingling of God’s holy people with backsliders and heathen men (because, in high-mindedness, they disbelieve that any personal contamination can thereby transpire) to the leavening and eventual damnation of the amassed multitude (1 Cor. 5:6, 2 Cor. 6:17-7:1; Examples: Gen. 6:1-4, Judges 1-2, Ps. 106:34-39)! The 2nd Advent of Christ is discernable in a time-fame known as the season (or generation), but no man can know the day or the hour (Matthew 24:1-51; specifically note verses 32-36). Though there are many indicators which do signify the “beginning of sorrows” (Matt. 24:4-8) which lead into the last generation (the season of the Lord’s return), only one main indicator will indisputably confirm to those who are alive that they are THE LAST GENERATION to exist and remain alive until the Lord’s return: The appearance of the Anti-Christ exalting himself above all that is called “god” (see Matt. 24:15, Mk. 13:14). The New Testament Apostles and Elders instructed and continually reminded the Christians to prepare for the 2nd Advent of Christ; thus there was a common knowledge and alarming awareness of the season which, according to the prophetic calendar, marks the last generation (1 Thess. 5:1-9, Rom. 13:11-14, Jude 1:16-19). 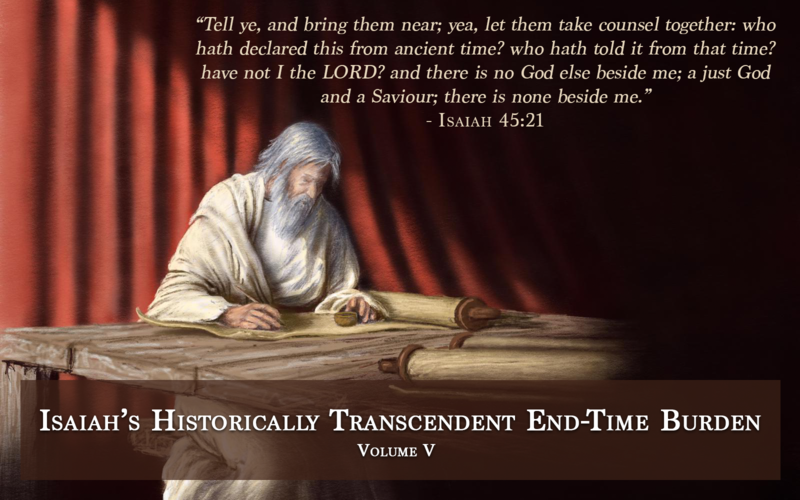 God allowed the New Testament saints to go through a typological forerunner (the 70 A.D. desolation of Jerusalem) to the Tribulation of the Last Days so that they upon living through a time-period which met all the characteristics which the scriptures did predict (though inferior to what the last generation will experience), they would serve as examples to the last generation: the inspired writings and exhortations given to them would be memorialized for our instruction, and the warnings personalized to them would then be applicable to us. Upon the awareness of the season, the saints are expected to give themselves to watchfulness and prayerfulness so much the more (Heb. 10:24-25), if haply the day of the Lord would not come upon them as a thief in the night! Concerning the Church it is sure, some will be taken up in the rapture and some left, thus some will be riding forth with the Lord and others will die under heaven’s overflowing army. This day of vengeance is mentioned as a means of judgment against Israel’s persecutors (Isa. 63:2-6, Deut. 32:39-43, Rev. 16:1, 6-7, 18:20, 19:2), this is true, but defectors from the Church become God’s enemies and persecutors who will be included in this multitude that is destined for wrath (Isa. 63:7-11, Heb. 10:26-27, James 4:4, 2 Thess. 1:7-10). For this very reason, the Church is vehemently warned of their NEED to be found among the number that escapes the judgment of God on this Day. This “Day of Vengeance” (Isa. 63:4), therefore, is not only executed on the World but also upon Church backsliders who have committed adultery with the world, thus we (the Church) are repeatedly warned of God to beware (Heb. 10:30-31, 2 Pet. 3:7-18, 1 Thess. 5:1-9)! What is this warning, exactly? We are warned to be watchful so that this Day will not be “a thief” to us, a surprising robbery of our undying soul from its refuge of false security (Rev. 3:3, Lk. 12:35-41, 21:34-36, Matt. 24:32-25:13, Mark 13:28-37)! The Day surprises men who are not prepared for it, just as a thief surprises sleeping men. The practice of watchfulness and prayerfulness requires a reorganizing of personal-priorities which are common to every man’s daily life. In reference to this, the Lord Jesus forewarned: “And take heed to yourselves, lest at any time your hearts be overcharged with surfeiting, anddrunkenness, and cares of this life, and so that day come upon you unawares. For as a snare shall it come on all them that dwell on the face of the whole earth. Watch ye therefore, and pray always, that ye may be accounted worthy to escape all these things that shall come to pass, and to stand before the Son of man” (Lk. 21:34-46). God will stall the end of the world and final judgment in longsuffering for His backslidden people who have yet to come to the biblical repentance (see 2 Pet. 3:1-18 in comparison with a historical example in Gen. 19:1-32). These backslidden saints, according to 2 Peter 3:9, are detained by sin which would cause them to “perish” if they abide impenitent of it, thus God delayed. These individuals, like backslidden Lot, may not even know that they are in need of repentance before God - they are abiding in the spiritual attitude exhibited by Lot in Sodom and Gomorrah, who was unpersuasive to his sons in-law, lingering from obedience to the command to flee, evidently fearless as if he could not perish. When reading the account in Genesis 19, it is apparent that the judgment and total annihilation of Sodom and Gomorrah was prolonged, delayed, and stalled for Lot’s sake, and while Lot did sinfully linger from holy fear and obedience, he lost his sons in-law, his possessions, and his wife. 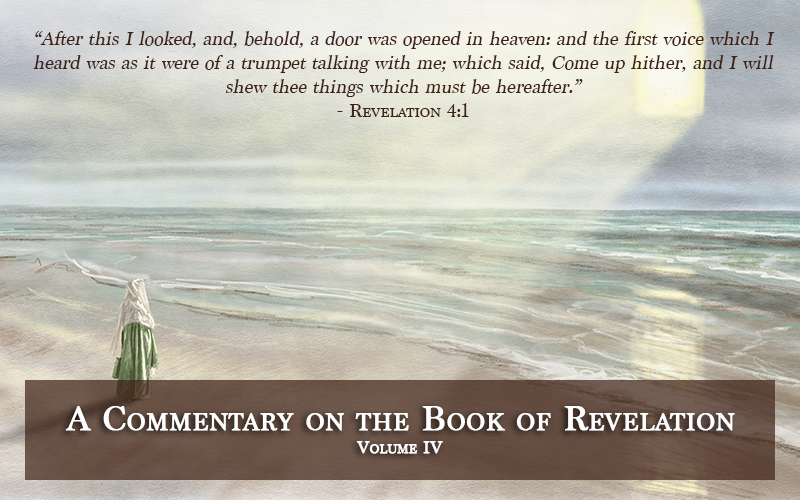 The angels of God’s mercy did arouse him to repentance, fear, and obedience at last, scarcely though. 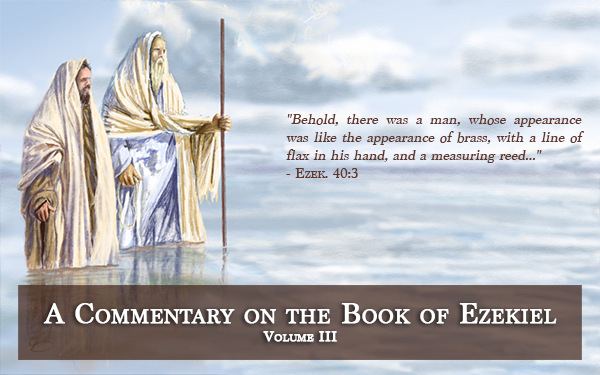 He was forcefully grabbed, hurried, and pulled to the edge of the city, and upon his release judgment was hastening behind him with relentless fury, so much so that God would suffer his lingering no longer. If Lot did at all slow down, hesitate, or look back, he would be consumed in the iniquity of the city. I wonder at the relevance of this historical situation in the times which do approach us, according to prophesy: The hour when the command, “Come out of her, My people, that ye be not partakers of her sins, and that ye receive not of her plagues. For her sins have reached unto heave, and God hath remembered her iniquities” (Re. 18:4-5), will be sounded to the saints who will be lingering within the dominion of Mystery Babylon the Great. Shockingly, in the midst the aforementioned prophetic woes, Jesus Christ prophesied of a seemingly impossible feat – in the very thrall of backsliders apostatizing and perishing all around the saints of God, “this gospel of the Kingdom shall be preached in all the world for a witness unto all nations; and then shall the end com” (Matt. 24:14)! 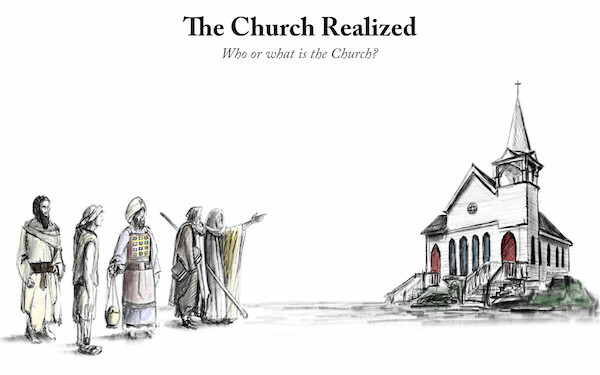 For this feat to be accomplished there must be a restoration of glory in the Church (“a glorious Church” –Eph. 5:27) unto New Testament proportions (Rom. 1:8, Acts 17:6), and therefore, consequentially, the True Gospel reaches the whole world in one generation. Let us take careful note here, my reader. This move of God is the preaching of the True Gospel throughout the whole world, not the False Gospel - there must be a clear distinction made between the “Gospel” which has been disseminated throughout the world already (see 2 Cor. 11:2-4), and, on the contrary, the True Gospel which is largely unknown and yet to be heard (Matt. 24:14). Amazingly, as the true Church undergoes the prophetic description: “many” are offended, betray one another, and hate one another, “many” false prophets arise, and “many” are deceived. Nevertheless, Daniel prophesied of a revival and an awakening, saying, “they that understand among the people shall instruct many”, and, again, “they that be wise shall…turn many to righteousness” (Dan. 11:33, 12:3)! Daniel signified that in this time, the famine of the word of God and the knowledge of the Lord shall end (Amos 8:11), which means, in other words, the latter rain outpouring of glory and grace shall commence so that (Joel 2:23, Haggai 2:9), Daniel said, “many shall run to and fro, and knowledge shall be increased” (Dan. 12:4)! 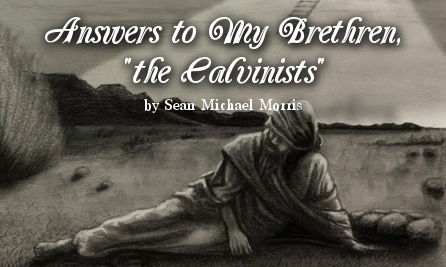 In the midst of great apostasy and falling away, there will be a revival and an awakening led by a third company of people which are separate from the sleeping Christians (the ten virgins). This separate group of people will be empowered by God to make The Midnight Cry. These individuals can be called “Friends of the Bridegroom” because their ministry is a typological parallel to that of John the Baptist (Matthew 25:1-13). John the Baptist was called a “Friend of the Bridegroom because he saw the appearance of the one who was to come and he knew the indicators whereby he would be recognizable, thus he was made fit to prepare the way for Him and proclaim His imminent arrival (see Matt. 3:3, John 3:29, Isa. 40:3, 29:9-10; Note: A Friend of the Bridegroom is one who sees the appearance of the Bridegroom who is to come, and, thus, is commissioned by God to make a preparatory cry to the common people that they might ready themselves.). As John’s ministry was summarized in, a “Cry” (Isa. 40:3), this Last Days will be summarized in, a “Cry” (Matt. 25:6). Bring terrified (2 Cor. 5:9-11, Heb. 4:11) by a meticulous consciousness of all the requirements laid forth in the Word of God whereby the saints will be found in peace on Judgment Day (2 Pet. 3:14; Example: Rev. 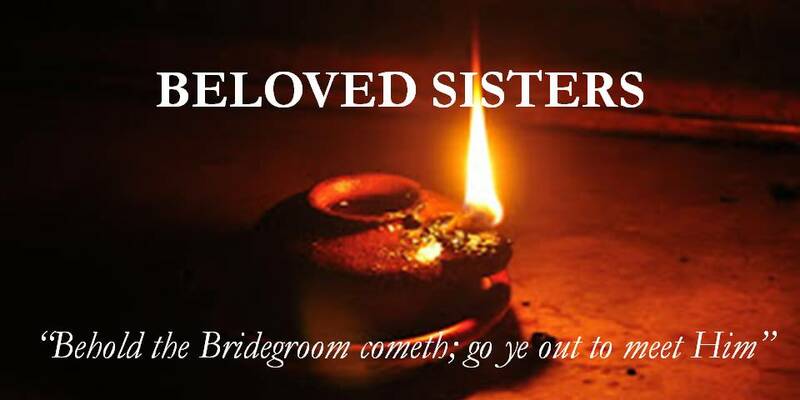 2:4, 9, 13-14, 19-20, 3:1-3, 3:8, 15-16), the Friends of the Bridegroom CRY a preparatory alarm; thus they will be successfully used by God to prepare the Bride of Christ for her Bridegroom (Eph. 5:26-27; “His wife hath made herself ready” - Rev. 19:7-9). In this Last Day Revival, the power of God will be unleashed in New Testament proportions so that all ten virgins (all true Christians) will wake up from their slumber (Matt. 25:1-13), but only half will awaken with the necessary oil (or wisdom) to be found ready for Christ’s coming. This awakening cry is heard and does effectually save the wise, but not the fools; this is because the wise were awake often enough or slept little enough, so as to store up enough oil in preparation to endure and wait-out the troublous time period before the Lord does finally come. 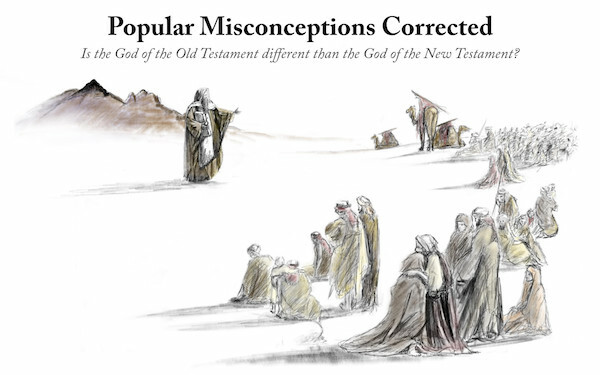 During this time, the people of God are not confirming the veracity that Jesus is the Messiah by quoting the Old Testament prophecies which foretold of His redemptive power, but, on the contrary, the people of God will be quoting the multitude of passages in the Old Testament and New Testament which confirm the attributes of Christ which foretell of judgment, severity, chastisement, and terror – by preaching these attributes from Holy Scripture the common people will be compelled to recognize that the End Time Tribulation is happening because of the judgment of Christ. Hereby many will be compelled to confess and believe in the biblical Christ because the saints will be able to verify the justice of Christ to bring the Tribulation (a just recompense upon sin committed). [Note: I now realize that this is why God has been opening up these attributes of Christ to me, not realizing that this would be the thrust of the End Time ministry of the saints. This is utterly shocking to me.] At a testimony to this, an angel of the Lord is depicted to fly around the world preaching the End-Time Gospel to the world in these words: “Saying with a loud voice, Fear God, and give glory to him; for the hour of his judgment is come: and worship him that made heaven, and earth, and the sea, and the fountains of waters” (Rev. 14:7). These words do bear witness to the tribulation which earth-dwellers are suffering, and to acknowledge that all these things are in the power of God, it is to acknowledge that God is bringing these judgments to punish the world, and if someone believes this then they will turn to Christ to hide themselves from the wrath to come – they will believe the gospel! The preaching of the gospel will be in like-manner, therefore, like it is said of the angel: “I saw another angel fly in the midst of heaven, having the everlasting gospel to preach unto them that dwell on the earth, and to every nation, and kindred, and tongue, and people” (Rev. 14:6). So great a multitude of Gentiles will be swept into the Kingdom of God or revived from a backslidden estate, through the purifying effect of the Great Tribulation coupled together with the purified and glorified expression of the Church (made into an effectual witness and beautified in readiness before the Lord), that Revelation 7:9-17 reckons the multitude! John testified, saying, “I beheld, and, lo, a great multitude which no man could number, of all nations, and kindreds, and people, and tongues, stood before the Throne, and before the Lamb, clothed with white robes, and palms in their hands” (Rev. 7:9). The angel testified, saying, “These are they which came out of Great Tribulation, and have washed their robes, and made them white in the blood of the Lamb” (Rev. 7:14). This massive and innumerable multitude represents the conversion or reviving of Gentiles during the period called, the Great Tribulation – it is near-unfathomable to imagine how and in what way this move of God which reach such an astonishing number of people worldwide, in the midst of so great a tribulation! There will be singing heard worldwide at the onset and commencement of the Great Tribulation (Isa. 24:13-16), such as, “they shall sing for the majesty of the LORD”, and, they shall glorify “the LORD in the fires” (Isa. 24:14-15). For this to be fulfilled there would need to be a staggering revival and awakening worldwide so that, not only are their believers worldwide, but they are in heart-felt agreement with the Great Tribulation in so much that they are singing during its commencement and glorifying God for the fires!